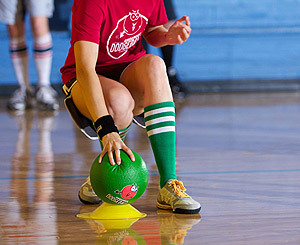 What/Court - Dodgeball/ Played on a regular gym floor. Approximately 60x30 feet. When - 2018/19 Monday's, first games start at 6:00pm. Why - This is a "no brainer"
How - Each game consists of 7; 5 minute matches. The best of 4 wins the set and everyone plays two sets a night and all 7 matches no matter what. Ref's - Each game has four refs, each team pays 10.00 before the start of the game.